Azimut Benetti Group is delighted to announce that Azimut Grande 116 “Cinque” has been selected as one of the finalists for the Showboats Design Awards 2011 – congratulations! This prestigious achievement confirms, once again, that Azimut Grande 116, the biggest boat of the Azimut range, is truly a top player! Its sleek and contemporary design is appreciated globally and has been selected to represent innovation, style and tradition. During a glittering gala evening the 25th October 2011 at the Mar a Lago Club, Donald Trump's exclusive private members club in Palm Beach, the winners will be announced in front of an exclusive audience of superyacht owners and the build and design teams responsible for the shortlisted yachts. The new Azimut Yachts I-Pad application was launched 14 July on Apple's App Store. The application provides access to the boatyard's virtual showroom. It is the first space completely dedicated to the Magellano 50', an award-winning boat belonging to the collection of the same name; the yacht officially debuted at the last boat show in Genoa. Inside, a vast collection of material and information is freely available. Taking full advantage of Apple technology, visitors can tour the boat, access important information and technical specifications and compare the different layouts available. Above all, visitors can appreciate the boat's style, design, comfort and technology, qualities which Azimut Yachts has thoroughly embodied over the years. Packed with contents that are unmatched in the boating world today, the innovative App represents Azimut Yachts' desire and willingness to anticipate the needs of boat owners and enthusiasts by providing concrete and direct solutions. On July 1 2011, the first Azimut Grande bound for the Dominican Republic and the Caribbean was delivered to its owner. Part of the Azimut Grande collection, the Azimut Grande 105’ is a planing boat which - together with the jewels of Benetti – makes up the mega yacht division of Azimut-Benetti. Launched from Miami, Florida, the yacht sailed over 1,000 nautical miles to reach its Caribbean destination of La Romana (the Dominican Republic). During the challenging crossing, both Azimut’s shipowner as well as the boat captain were impressed and enthusiastic about the yacht’s technical and navigational qualities. The owner and a select circle of guests were waiting at the destination to celebrate the official delivery, boat christening and launch ceremony. The party continued on board, giving the guests the opportunity to enjoy the spaces, layout and exquisite cherry finish decor which do full justice to the style that Caribbean yachting is known for. The Azimut Grande 105’ will remain in La Romana for just a few days before setting sail again for an inaugural cruise to the Virgin Islands. During the first nine months of FY 2010-11, sales climbed +19% in relation to the same period the previous year. This improvement took the Group's sales up to €677.7 million, with its two businesses contributing towards this performance: The boat business recorded €488.9 million in sales, up 20.1% over the first nine months. This growth is in line with the target for the year, and confirms the strong penetration achieved by the Group's brands across all market segments. The housing business posted €95.4 million in sales for the third quarter, an increase of 12%, with sales for the first nine months up 16.2% to €188.8 million. This rate of growth over nine months, stronger than expected for the whole year (+12%), reflects the desire among professionals to have new models to help ensure a positive welcome for their customers as of spring. In light of sales generated during the period and the level of the order book, the Beneteau Group is able to confirm its initial sales forecast of €920 million for the year, up 18%. As the world's number-one sailboat builder - both mono- and multi-hull - the Beneteau Group has continued to develop its business on the powerboat market, and is now one of the leading players in Europe. On both sail and powerboats, the Beneteau, Jeanneau, Lagoon and Prestige brands are able to offer more than 100 models ranging from 20 to 60 feet. The Group has one of the most prestigious names for the custom construction of luxury yachts: CNB. 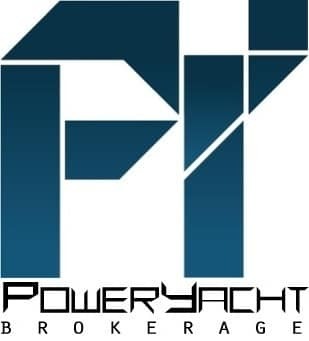 It is expanding its range in the segment for powerboats over 15 meters with Prestige Yachts and Monte Carlo Yachts. The Group is also a leading player on the European leisure home market and is developing its business on the market for high environmental performance residential housing. With the design and manufacturing of wooden-frame houses, it aims to make quality homes that are accessible in terms of their pricing and compliant with sustainable development standards. The Robb Report, Curtco Media's prestigious guide to life's finest tastes, noted the Cigarette 42X Ducati Edition, in the July magazine's third annual "Toys of Summer" issue. Titled "Offshore Thrilling" the article compared the Cigarette 42X on water to the Ducati Superbike on the racetrack--neither sacrificing style for speed. Last year, the Cigarette 39 Top Fish Open center console boat was also selected for the honor, showing the diversity and appeal of the Cigarette Racing Team's model lineup. The 42X Ducati Special Edition made its debut at the 2011 Miami International Boat Show, sporting a pair of Mercury Racing's newest 1100 HP engines. The engines, which run on regular pump gas and still easily reach triple digit speeds, are an innovation for the performance marine market. This introduction also marks the strategic alliance that Cigarette and Mercury Racing have enjoyed over the years as the iconic boat manufacturer has worked closely with the most recognized propulsion brand in powerboat history to validate its newest engine introductions. Adding Ducati this year to the marketing mix broadened Cigarette's performance partnership with AMG Mercedes. At last year's Miami International Boat Show, a new customized 46' Cigarette, labeled "Inspired by AMG" featured Mercury Racing's new 1350 top horse powered engines. While the custom-built 42X Edition featured Ducati brand red and white upholstery, paint and logo and was displayed with an array of new Ducati motorcycles, the boat was all Cigarette Racing Team in quality and design. A new top-performing, customized entertainment system by JL Audio, called "Pure," was also introduced, specifically engineered for Cigarette's cockpit and cabin configurations to deliver fine tonal quality in a challenging marine environment. When John Rosatti decided to get back to performance boating, he wanted to do it in a big way. Rosatti, a long-time powerboater who had gone from racing to yachting as he raised a family and built a car empire and yachting business, decided it was time to re-power his ride. He visited with Phil Lipschutz, at Lipship Performance, Cigarette Racing Team's Miami dealer, who used to take care of Rosatti's racing boats in the 1970's. That was when Rosatti owned a 35' Cigarette Mistress--Aronow's favorite, among other race boats. He took one look at the new 50' Cigarette Marauder at the Miami International Boat Show and was star-struck. Lipschutz introduced him to Fred Kiekaefer, president of Mercury Racing, who provided full background on the new 1350 HP engines and the deal was done. The Cigarette will keep good company with Rosatti's "other" boat--a 160' Christensen, "Remember When"--his second Christensen, which he keeps at Fisher Island. His captain, Henry Duplessis has had his performance boat introduction in the Marauder. The duo has clocked 120 mph easily and has been leisurely cruising Biscayne Bay at 80. The 2011 Cigarette Marauder was completely redesigned to accommodate the 1350 engines including the deck, cockpit and engine compartment, creating a sleek, long stretch of aerodynamic hull, balanced to handle the power of 2700 HP. Rosatti has been cruising with the boat to New York and Newport over the summer and may plan a trip down to the Keys as well. It is the new standard by which cutting-edge style and comfort is measured in a production vessel. This revolutionary Cruisers 48 Cantius has been all the buzz in industry publications, the topic of every conversation in online forums, and the recipient of countless awards including "Best Interior of the Year" by Motorboating. It's contemporary design features open and free-flowing spaces that invite interaction between the captain and passengers. Including a glass-enclosed helm and tri-slide doors, a full-beam master stateroom, IPS joystick maneuvering, wenge wood interiors, and many customizable options. Better Capital Limited (the “Company”) is pleased to announce that a company wholly owned by BECAP Fund LP (“BECAP”), has reached a formal agreement with the Royal Bank of Scotland Plc (“RBS”), to acquire a majority stake in Masco 30 Limited, a new company set up solely for the purpose of acquiring 100% of the share capital of Fairline Boats Acquisition Limited (“Fairline”) and its subsidiaries (together the “Fairline Group”). Under the agreement, West Register (Investments) Limited, a company wholly owned by RBS, will acquire a minority stake in Masco 30 Limited. Fairline is a leading global brand specialising in the design, engineering, manufacture and distribution of luxury boats in the range of 38 to 80 feet. It sells its boats through an extensive independent dealer network in 69 locations worldwide and is headquartered in Oundle, Northamptonshire. BECAP and RBS have committed £16.6 million and £3.9 million respectively to finance the transaction and to fund restructuring and working capital requirements. Nick Sanders, a member of Better Capital LLP, will join the Fairline Group board as Chairman. The Ferretti Group, a world leader within the sphere of the design, construction and sale of motoryachts which encompasses a unique portfolio of some of the most exclusive, most prestigious brands in the nautical world, signed a non binding Memorandum of Understanding with Shandong Heavy Industry Group (“SHIG”) – a Chinese holding, controlling leading companies in the sector of engines, generators and propulsion systems – for the creation of a joint-venture, with the aim of developing an industrial partnership for the design, production and sale of motoryachts for the market of Greater China (China, Hong Kong, Taiwan and Macao) and other emerging markets. SHIG is the largest manufacturing industry group in Shandong province, located in east coast of China, with major port cities Qingdao, Yantai, and Weihai, and the second largest province by economy. The initiative, which focuses on the development of new brands and models, has the purpose of exploiting synergies starting with the respective technological and industrial skills, and will not determine impacts on the current production set up of the Group, traditionally based in Italy. Moreover, SHIG will evaluate the possibility to make a cash investment into the Group, for the acquisition of a minority shareholding. Following the signing of such a non binding Memorandum of Understanding, Ferretti Group and SHIG will continue to further evaluate the possibility to carry-out the envisaged transactions, that would in any case be subject to, inter alia, all customary due diligence investigations as well as the required approvals and consents from the Ferretti Group’s lender and holders of financial participating instruments and the competent authorities. ISA has enlarged it's network by appointing Yacht Moments as a new dealer, and exclusive sales representative for Germany, Switzerland, Austria and the Balearics. Yacht Moments was founded in 2005, and is specialised in sales, charter, management and new construction projects. Yacht Moments' offices in Puerto Portals (Mallorca), Hamburg, Munich, Sukosan and Zagreb, make them a premium channel to represent ISA. Since June there's been a ton of tournament activity and thankfully a lot of Jarrett Bay boats showing up on the leaderboards. First and foremost, the 54' Chainlink and their all-female team took home 1st place in the Cape Fear Blue Marlin Tournament, with 7 releases in two days. In the Barta Boys & Girls Club Billfish Tournament, the 51' Jarrett Bay Bill Collector won 2nd overall and Jr. Angler Hunter Draughton placed 1st in the billfish & wahoo categories. The 55' Builder's Choice was the 1st place private boat and their angler Elizabeth Blythe was 2nd in Jr. Billfish division. Several junior anglers aboard the Fishing Partner & Marlin Fever also placed in the inshore tournament - awesome work boys & girls! The Bermuda Triple Crown started in early July and one of the several Jarrett Bays who made the crossing, the 61' Rameseas, saw a lot of great fishing. They placed just out of the money (4th) in the Bermuda Billfish Blast & 6th in the Seahorse Anglers Club Tournament after Terry Wells boated a 544 lb. blue marlin on the final day of fishing. Meanwhile, the 70' Ravaganza fished the Carolina Boat Builder's Tournament, where Tiffany Ramsey took home top lady angler with 3 white marlin on day 1. Seven years after our debut at the Sydney International Boat Show we will this year have the largest display of boats on show with a stable of 14 vessels valued in excess of $22 million. Maritimo has gone from strength to strength since launching its first model, the M60 Motoryacht, in 2004 and taking the mantle as the largest on water exhibitor at this year¹s Sydney show is a major milestone. Whilst the newest models on display will be the C53 Sports Cabriolet, the M48 Series II Motoryacht and the A55 Aegean Flybridge, the entire display has a new feel to it featuring refreshed interior styling by David Stewart Design of Pittwater, Sydney. Marquis Yachts is extremely pleased to announce it has been chosen as one of three ultra premium brands to be showcased in the highly sought after July issue of the Robb Report. The Robb Report is a definitive authority on connoisseurship for ultra-affluent consumers, and showcases the products and services available from the most prestigious luxury brands around the globe. Its sophisticated readership is also provided with insight into a range of subjects, which include sports and luxury automobiles, yachts, real estate, travel, private aircraft, fashion, fine jewelry and watches, art, wine, state-of-the-art home electronics and much more. Marquis will be featured in the Toys of Summer edition with brands such as Maserati and Ducati illustrates the prestige of brand. The Marquis Yachts. 420 Sport Bridge is the featured yacht. Robb Report’s “Toys of Summer” editorial coverage is also now available online at RobbReport.com. Although RobbReport.com visitors can only obtain access to the “Toys of Summer” coverage by purchasing online content. The Mulder Favorite has been selected by Robb Report’s editors as one of the “Best of the Best” Production Boats in their signature June issue. This 23rd annual Best of the Best edition marks the culmination of an entire year’s search for the most exceptional new products and services in the world of luxury goods. 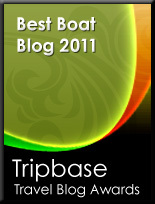 Everyone at Mulder Shipyard is delighted to achieve this major accolade. Last year we became one of the first yacht builders in the Netherlands to launch a special mobile webpage. This site is constantly updated, and Mulder Shipyard‘s marketing department has recently uploaded various new projects in a special slideshow. Plymouth based Princess Yachts today became the first significant British boat builder to achieve the Rina Green Plus (Y) notation for their entire range of V Class and Flybridge yachts up to 24m (85 feet). The award provides an independently verified environmental accreditation from the classification society RINA and applies to each individual model which is assessed for its environmental impact. The rigorous testing investigates all aspects of the craft from engines and electrical systems to materials and substances employed and Princess are the first brand to demonstrate the compliance of every vessel applicable for the process. Princess also lead the way in responsible manufacturing too and in 2010 became the first major motor yacht manufacturer to be awarded ISO14001 in recognition of achievements in reducing the affect on the environment. This followed a stringent year-long company review into every aspect of the manufacturing activities, products and services, from materials usage, noise and emissions, to energy management and waste disposal. A significant part of the company’s environmental initiative is the use of large scale resin infusion technology, a closed mould process which almost completely eliminates emissions in the workplace and local environment. This advanced technique also offers significant quality, weight and structural benefits resulting in better hull performance and fuel efficiency. The fourth Riva Trophy, an annual event organized by Monaco Boat Service, Riva’s Monaco based dealer, was held from 8th to 10th of July 2011 in the beautiful setting of Monaco. Taking part in this exclusive event were Owners from all over Europe who have made Riva their greatest passion. As always, this three day event full of style, elegance, amusement and fun, featured both sports competitions and unique events, such as the première of the shipyard’s latest model, the new Riva Iseo, a 27 footer runabout, heir to a long history of excellence and craftsmanship. Classical models, ‘living’ proof of the shipyard’s long history were, as always, on display throughout the event, together with the brand’s latest product range. The Reliability Trial was held after the opening of the event at the Monaco Yacht Club and the arrival point was located along the elegant beaches of St. Tropez. In the evening, the new Riva Iseo was presented and displayed in Place de la Mairie, St. Tropez, in front of the Monaco Boat Service boutique. The photographic exhibition “Immagini nei cantieri Riva” (“The Riva Shipyard in Pictures”) by international photographers Gabriele Basilico and Mario Cresci was on show inside the town council building. The exhibition presented some of the most beautiful images featured in the book edited by the cultural branch of the Italian publishing house Il Sole 24 Ore. The event’s main sponsor was apparel brand Cains Moore, that gave all participants an exclusive technical jacket, the inside of which features the reproduction of a work of art by Renato Missaglia, specifically designed to celebrate the entire event. Dinner and musical entertainment took place on the striking St. Tropez dike. During the evening, besides music and dancing, a charity auction in favour of the Kings of Kibera association, which sustains the project “Street kids care” providing houses and education of street children in Kenya, was held. For this prestigious event Vhernier jewellers donated one of their extraordinary creations to be sold during the charity auction, together with a work of art which represents the new Riva Iseo by Renato Missaglia. This image was also featured on the bottle labels of Pasqua wines. Once again Pasqua wineries and Riva enjoy an ongoing relationship on occasion of their most important events. Other important sponsors included Radio Mibtecarlo, featuring the special articipation of Maurizio di Maggio who was the special auctioneer and presenter of the soirèes. During the picnics, aperitifs and dinners of these three days devoted to the Riva’s gems, the guests toasted with Italian cocktail Bellini produced by Casa Vinicola Canella as well as prestigious Veuve Cliquot champagnes. The second Ascona Polo Cup, a prestigious tournament which attracts polo professionals and important personalities from all over the world to Ascona in Canton Ticino was held in July. For the occasion, Poroli Special Boats, Riva’s long-term dealer for Germany and Switzerland, sponsored a team which came fourth in the tournament. The high spot of the event was the presentation of the new Riva Iseo, displayed for the first time in Switzerland, to an enthusiastic audience at the former aerodrome of Ascona. Several celebrations were held, too, inaugurated with the Players Party gala evening on Friday at the Restaurant Marina in Hotel Eden Rock, during which the 250 guests admired the Aquariva, Rivarama and Rivale models on display in the water. Music and fashion, on the other hand, were leading features of Saturday evening, for which Poroli reserved two tables in the VIP area of the arena for its guests. Riviera, Australia’s largest and most-awarded pleasure boat builder, is the subject of a 68-page collector’s edition supplement attached to Issue 416 of Trade-a-Boat magazine, which hits the news stands on July 13. Editor of Trade-a-Boat David Lockwood said the official stand-alone Riviera Buyer’s Guide is a must-have for all Riviera owners and enthusiasts, and it’s free with every issue. Riviera’s director of brand and communications Stephen Milne said it was an honour for Riviera to be featured so extensively in this supplement. Trade-a-Boat Issue 416 wen on sale in July and will be available at the 2011 Sydney International Boat Show. The guide shows all the seventy different models produced, delivered in over 4800 units, in the Aussie builder continues 31 years story. Riviera, Australia’s largest and most awarded pleasure boat builder has just exported its first 70 Enclosed Flybridge for Europe. The 70’s home port will be in Spain. This latest 70 to leave Riviera’s state-of-the-art facility in Coomera, Queensland will also be on display at the 50th annual Barcelona International Boat Show, the largest boat show in Spain, which will be held in November. The 70 Enclosed Flybridge, hailed as the most luxurious and technologically advanced Riviera to grace European shores boasts a cruise speed of 30 knots and top speed of around 34 knots depending upon engine options and a cruising range of 1,000nm. Since the 70’s official launch in August 2008, Riviera has built and launched an impressive six of its new flagship 70s, which are very customised builds rather than pure production boats. Riviera’s large boat program project manager Paul Wrench said the owners of this 70 extended the flybridge rear deck, which provided added cockpit protection from the elements and increases the flybridge entertaining space. Paul said the skipper came to Australia once during the construction phase and then for the sea trials prior to shipping and he was very impressed with the vessel, saying it ran very well and the performance was in line with their expectations. Director of sales and marketing for Europe, Asia and the Middle East, David Taylor said the owner was from Switzerland but kept his boat in Gibraltar, which is at the mouth of the Mediterranean. In a once in a lifetime opportunity, the striking new Riviera 61 series II Enclosed Flybridge luxury cruiser will celebrate her Sydney debut with a spectacular demonstration, as the 3100 horse power vessel tows 15 elite water-skiers from the Australian Ski Racing Team around Sydney Harbour. Leaving a stunned audience in her wake the $2.5 million vessel is the latest model to emerge from Australia’s award-winning pleasure boat builder. Riviera’s director of brand and communication Stephen Milne said it would be a very impressive sight. Event organiser and former Australian water-skier Darren Osmotherly from Paradise Afloat Houseboats on the Hawkesbury River said this was an Australian first and a one-off event. One of the 15 water skiers is Danny Cropper who will represent Australia at the World Titles this year and is also a multiple Bridge to Bridge winner and world record holder for skiing the 112 kilometre Bridge to Bridge race twice in one day. The team will also feature the current junior world champion, Jack Houston who is also in the Australian team this year, and Tania Teelow who is also in the Australian team and a former world champion. Mr Milne said the NSW Maritime Authority had been extremely helpful and supportive of this one-off event. Riviera owner Scott Taylor has generously donated the use of his stunning new 61 series II Enclosed Flybride, Mazara, to celebrate the Sydney launch of this new model. As founding principal of the FleetPlus Group, Scott is a multiple Riviera owner having previously owned a 27, 36 Pro Sport, 39 and 42. He said he was thrilled to be involved with the Sydney launch of the new 61 Series II Enclosed Flybridge. The FleetPlus Group is the largest privately owned vehicle leasing business in Australia and New Zealand involved in leasing, novated leasing, salary packaging and asset finance. Scott and his executive team also understand the importance of helping those in need and recently partook in the CEO Sleepout, raising more than $40,000 for homeless people. Scott said he looks forward to seeing his 61 Series II on display at the Sydney Boat Show. The new Riviera 61 Series II will make her Sydney debut at the 2011 Sydney International Boat Show this week and with three of these new models currently under construction for owners in Australia and Central America, Riviera anticipates this model will be extremely well-received by boating aficionados. Riviera, Australia’s largest and most awarded pleasure boat builder has continued to expand its United States dealer network with the appointment of Bay Marine of Sturgeon Bay in Wisconsin. Located on the Western shores of Lake Michigan at Sturgeon Bay, Bay Marine will service the Wisconsin and Illinois territory. Bay Marine of Sturgeon Bay is the exclusive Riviera dealer for the Western Great Lakes area and has a reputation for quality service. Bay Marine dealer principal Mark Felhofer has more than 25 years sales experience and together with his team of 25 sales and service personnel are totally committed to customer care and proud to now be part of the growing Riviera family. 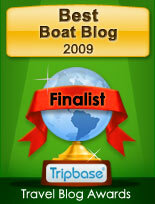 Bay Marine’s goal is to make boating a life-long passion for their owners and their entire family. Riviera Yachts USA Inc Director Chris McCafferty said he was proud to welcome Bay Marine to the Riviera family as the newest dealer in the Americas. In the worst ever year for the world economy 2009 - and even worse for the yachting industry - Sanlorenzo was able to limit its turnover reduction in a small -9%, corresponding to € 181 mln turnover (with € 17,5 mln Ebitda) compared to 2008 € 198 mln turnover (with € 24 mln Ebitda). The lower profit was due to the depreciation of the trade-in boats that in 2009 was internationally estimated between 20 and 25%. Sanlorenzo didn’t recur to an aggressive discount policy thanks to the strength points of its brand: Tailor made yachts on owner’s requirements, Classic and sober design, marking a timeless value, Steadily rooted European market, but open to new realities. Direct distribution through the Brand Representative sale network, made of companies in majority participated by Sanlorenzo and maintained a competitive advantage and the strength of its brand, being able to increase its 2009 budget by 8%, foreseeing a 2010 turnover of € 196 mln (with € 17,2 mln Ebitda). Sanlorenzo steadily maintain the course of its provisional budget, elaborated in 2009, avoiding the many dangerous market “shoals” where “run aground” most of the major Italian and foreign groups. With € 196 mln turnover (with an Ebitda of fairly 10%), Sanlorenzo achieved to maintain its company size and to consolidate its worth, with a result even similar to the pre-crisis figures (2008 turnover, see before). This financial result, confirmed by the board on June 14th was achieved by delivering to their owners 19 planning motoryachts built by the Ameglia Division and 9 among planning, semi-displacement, composite and metal motoryachts built by the Viareggio Division for a total of 28 new yachts which happily cruised during the 2010 summer. 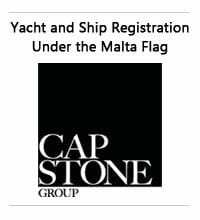 In 2011 actually Sanlorenzo conquered the third position in the Global Order Book edited by the American magazine Showboats, the annual statement of the orders to the superyacht industry, just behind the first position of Ferreti Group (which lists in this GOB five brands, Ferretti Yachts, Custon Line, Crn, Pershing and Riva) and the second position of Azimut-Bentti Group (listing the two brands Azimut and Benetti). Joining in 2011 the very selected group of 40m+ superyacht builders, gathered in the SYBAss, Super Yacht Builder Association, with its flagship, the 46 Steel, 46 metres steel hull with aluminium superstructure, Sanlorenzo is delivering in these days the third hull and started the construction of the fourth. 46 Steel will be on display at Monaco Boat Show in September. Spanish motorboat manufacturer Starfisher is pleased to announce a return to the UK and Northern Ireland market with the appointment of South West UK Marine Sales as distributor for the region. Trading under the name of Starfisher UK, they will be responsible for the full range of Starfisher boats. The launch of Starfisher UK means that customers can now choose from any boat in the Starfisher range, which starts with the new Outboard series, ideal for weekend cruising or fishing then moves up the next model; the versatile Cancun 260/290 series, offering either open cockpit or cabin options. The Fisher/Cruiser series has a flybridge option, and at the top of the range, Starfisher cruisers are available up to 45 feet with numerous choices for the interior and exterior. All Starfisher models come with an extensive basic specification and a number of options available to ensure every boat provides a highly cost effective solution to meet customers requirements. Genoa based classification society RINA has granted its environmental notation of RINA Green Plus Yacht Gold standard to Sunseeker International for its fleet up to and including the Predator 84 (84ft). All Sunseeker craft throughout the range have attained recognition for incorporating the highest possible standard of environmental performance and energy efficiency, whilst making a significant investment with design solutions, onboard equipment and operational procedures; which all contribute to an improvement in environmental performance beyond the levels required by international regulation on environmental protection. The Green Plus Yacht Gold standard category is granted by RINA as further recognition to those companies that will go that one step further with investing in environmental excellence to achieve the highest level of certification. To attain Green Plus Yacht Gold standard, the company was put through a stringent and in-depth testing process where RINA evaluated ten different pollution sources from engine requirements through to environmental control procedures. RINA is one of the oldest classification societies and certification companies in the world. Today the company spans the globe as a multi-faceted company, sharing its knowledge and experience through a wide range of services which help industries and the community to improve their business quality of life. A truly global leader in the design and build of luxury motoryachts, Sunseeker International exports 99% of its product range and employs around 2,400 skilled staff. Sunseeker is widely recognised as the pre-eminent luxury motoryacht brand in the world today, and prides itself on continuous design, innovation, and style. The company is committed to continuous improvements in its environmental practices. Sunseeker International, a global leader in the design and build of luxury motoryachts, in association with Sunseeker Poole, Sunseeker Charters and Sunseeker London, was delighted to make its debut at the Goodwood Festival of Speed from the 30th June to the 3rd July 2011, stand number 202/203, where a Portofino 48 was on display. The annual show, which was held in the spectacular grounds of the Goodwood Estate, was an extraordinary summer rendezvous that combined an impressive mix of cars, stars and motor sport 'royalty' to create the largest car culture event in the world. The Sunseeker stand featured the stunning Portofino 48, a sports cruiser ideal as a day boat and competent as an extended cruiser, complete with all the hallmarks of Sunseeker; flowing interior lines, lively performance and luxurious features throughout. The Portofino 48 which was on display featured the Volvo Penta IPS system, one of the greatest innovations ever in boating, with car-like handling and manoeuvring, joystick for easy docking plus dramatically increased efficiency compared to inboard shafts. Vicem Yachts, Turkish builders of luxury classic motor yachts and megayachts, is bolstering its executive team by naming the high-caliber professional key figure from the yachting industry and Class One powerboats race as Marketing Manager, Ali Tanir. He comes to Vicem from some important experiences in IOTA - Class 1 Powerboat promoter where he first served as Operations Coordinator two years. From 1999 Ali Tanir had relevant position for event and logistics operations for Istanbul Offshore Club, Class One Management before his appointment as Business developer manager in Yuka Yachts. In addition Vicem Yachts thanks Alberto Perrone Da Zara for his great and important support over more than one year in Vicem Yachts.